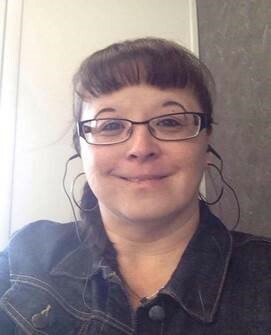 The First Nations Health Directors Association (FNHDA) is extremely pleased to announce that Jeanine Lynxleg has joined the Shared Secretariat as the Senior Specialist, Member Services and Programs. Jeanine has accepted a one-year secondment from her position as the FNHA Fraser Salish Regional Manager. We would like to take a moment to introduce this new role within the Association and share how FNHDA members can contact Jeanine should you need to reach her. Do you want to participate in the FNHDA mentorship program? Do you want to know how to access First Nations Health Benefits within the FNHA? Do you want to get more information on programs and services the First Nation Health Authority provides? Do you want to know more about Nursing Services and how to support nurses in your communities? Do you have any questions on your Medical Transportation program? Do you have any questions on your programs and services in your funding arrangement (i.e. Aboriginal Diabetes, NNADAP)? Do you want assistance in the main components and tips to developing your Community Health Plan? The Association is excited to introduce this new role to its members, and Jeanine looks forward to having the opportunity to re-connect with Health Directors and meet new members as the FNHDA Senior Specialist for Members Services and Programs. If you have any addition questions, please reach out to us at fnhda@fnha.ca or you can reach Jeanine directly by email: Jeanine.Lynxleg@fnha.ca or by phone at 778-828-3504.